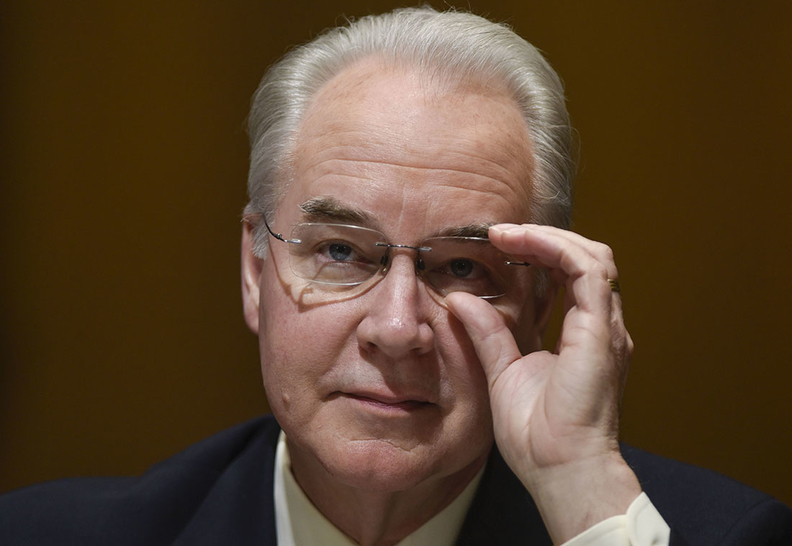 The confirmation of U.S. Rep. Tom Price as the next HHS secretary is expected any day now. That's empowered Republican lawmakers in his home state of Georgia to become the first in the nation to seek a per-capita cap waiver for Medicaid. State Rep. Brad Raffensperger has introduced a resolution that would urge Republican Gov. Nathan Deal to submit a request for a 1115 waiver to transition the state's Medicaid program into a per-capita capped system. So far the resolution has four Republican co-sponsors. Under a per capita model, the CMS would distribute a limited amount of federal dollars per person in the state. Spending would grow as the number of enrollees did, and the state could set eligibility, benefits and delivery system approaches however it chooses. Raffensperger said that could allow Medicaid to expand to include people living below the poverty line, which would reduce uncompensated care costs for hospitals. The Georgia Hospital Association's most recently estimated that its members faced $1.02 billion in uncompensated care costs for indigent Georgia citizens in 2014. That same year, 66% of rural hospitals had negative margins. In all, 41% of Georgia's hospitals ended 2014 with negative margins, according to the Georgia Hospital Association. Currently, there are about 565,000 uninsured low-income Georgians below the poverty line in a recent Deloitte study. “Working together for both the nation's and Georgia's best interest, I believe [Deal and Price] can craft the block grant funding solution that reflects the desire of Congress, President Trump and our conservative, fiscally responsible values,” Raffensperger said. Also bolstering the chance for success of the proposed waiver is that the Donald Trump administration has hired Brian Blase, a proponent of capping federal Medicaid funding to advise on healthcare matters. He was most recently a senior research fellow at the conservative Mercatus Center at George Mason University in Virginia. Raffensperger's resolution is now under review by Georgia's House Appropriations Committee, he said. A request for comment to Governor Deal was not returned, however he has said in several interviews he supports capped funding for Medicaid in exchange for more flexibility to run the program. Democratic leadership in the House did not respond to requests for comment on their support. But since the state's House and Senate and governor are all Republican it may not matter. Donald Palmisano Jr, CEO of the Medical Association of Georgia said his group was withholding comment on the resolution until more details were released in how it would work. He was generally supportive of state lawmakers seeking ways to cover the uninsured. The Georgia Hospital Association also didn't return a request for comment, but has said support of a block grant would depend on its execution. The news comes as Avalere published new findings Monday that revealed that moving to capped payments in Medicaid—either by block grants or per capita caps—could dramatically reduce federal spending on the program.